I always thought that there was nothing good about dentures. 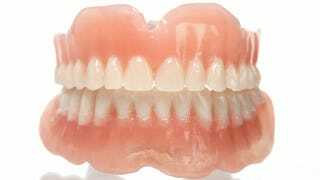 Zacarias Pacheco de Moraes, an 81-year-old man, would disagree since wearing dentures is the reason he's alive. No joke, Moraes was shot in the face but the dentures deflected the bullet. Moraes was shot while he was tending his bar in Alta Floresta, Brazil. Wait...hold on. 81 years old? Still bartending while wearing bulletproof dentures? Is this the most interesting man in the world or something? Who the heck would shoot an 81-year-old bartender? No one knows!